Kang, R.J, Lovász, L, Müller, T, & Scheinerman, E.R. (2011). 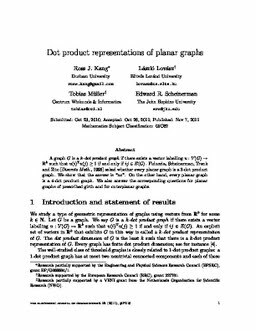 Dot product representations of planar graphs. Electronic Journal of Combinatorics, 18(1).